DR. SHAUL SEHAYIK: "AN UNKNOWN EPISODE"
You are kindly invited to a special study evening on the occasion of the publication of Dr. Shaul Sehayik's new book: AN UNKNOWN EPISODE, The history of an encounter of thousands of Polish Jewish soldiers with the Jews of Iraq and Iran in 1942-1943, which will take place on Tuesday, Elul 12, 5763 ( September 9th, 2003) at 17:00 in the Babylonian Jewish Heritage Center, 83 Mordechai Ben Porat Avenue, Or Yehuda, buses 36,59 from Tel Aviv, 76 from Petach Tikva, 1 from Kiriat Ono. The purpose of this book is to shed light on a 'Historic Moment', brief in time but profound in significance for Jewish history, which occurred during the Second World War. In the course of that conflict, in 1942-1943 a moving human encounter occurred in Iran and Iraq between about 6000 Jewish refugees from Poland, including some 4500 Jewish soldiers serving in General Anders' Polish Army, and the local Jews. The Jews of Iran and of Iraq made the Polish Jewish refugees and troops most welcome, receiving them with heartfelt warmth. They did everything in their power to bring some comfort into their lives in foreign countries, after the enormous suffering that had been their lot in the labour camps in the Soviet Union. 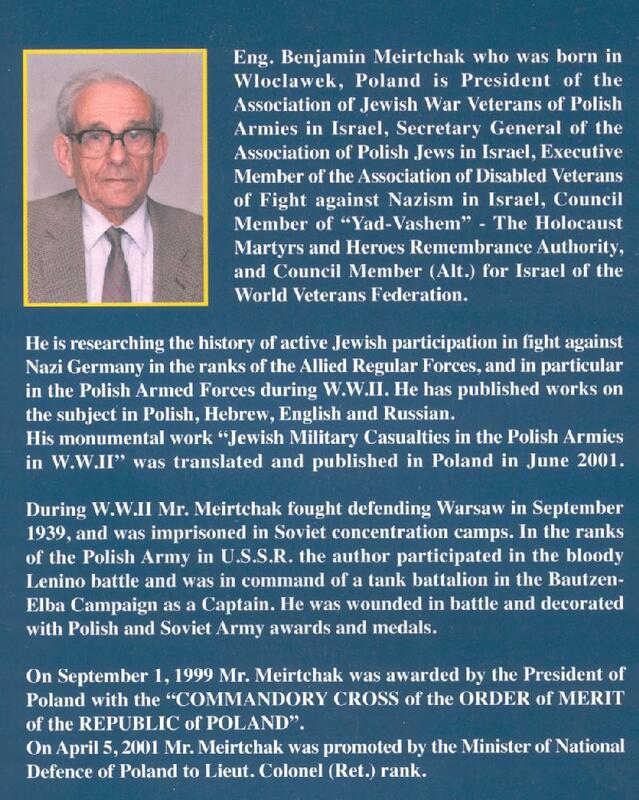 They accommodated the Jewish soldiers in their homes, and provided places of refuge for those who deserted the Polish Army because of its entrenched anti-Semitism. In the end they contrived their passage to Palestine, largely through the members of the Underground Hehalutz (Pioneering) Movement in Iraq, known for short as 'the Movement'. This 'Historic Encounter' left a deep impression, not dispelled to this day, on both sides, the hosts and the guests. This transpires from dozens of interviews and private conversations I held with those who were witnesses to and participants in that event. Every one of them had his own personal story, replete with emotion and experiences, some similar, some contrasting. 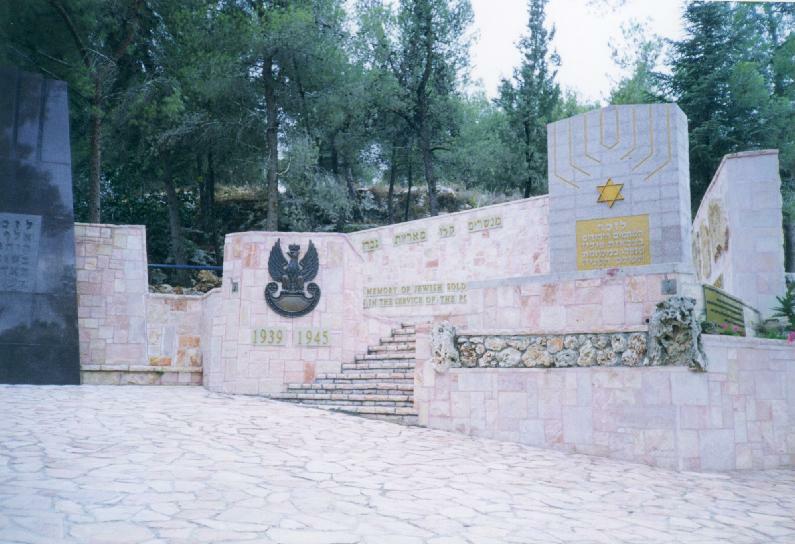 An expression of that feeling was given by a group of ex-servicemen in Anders' Army, whom I interviewed at Dizengoff Center in Tel Aviv on 10 January 2001. Spontaneously they emphasized, 'We shall never forget that time because it was like the Exodus from Egypt, "from slavery to freedom", after the horrors we suffered'. Much has been written and published on the Holocaust that befell the Jewish communities that came under the heel of the Nazis or their henchmen. Less is known about the hundreds of thousands of Polish Jewish refugees who fled to the territory of the USSR with the outbreak of the Second World War on 1 September 1939. These refugees underwent many reversals and countless ordeals. Fortune glimmered on about 6000 of these Polish Jewish refugees. They managed to survive, and lived to tell their tale and what had happened to them. This group was able to get out of the Soviet Union and make it to Iran and Iraq in 1942 and 1943, either as soldiers of the Polish Army, which was formed on Soviet soil and known as Anders' Polish Army, or as civilian refugees. Anders' Polish Army was formed after the Wehrmacht invaded the Soviet Union on 22 June 1941, an assault that constituted a fateful signpost in the course of the Second World War. 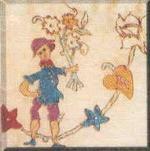 The purpose of this book, then, is to illumine a fleeting moment in Jewish history. This is the unexpected encounter of Jews from the East and from the West, a historic meeting that symbolized the unity of the various tribes of the people of Israel, and gave real expression to the maxim of the Sages: 'All Israel stand surety for each other'. The Polish Army enlisted thousands of Polish Jewish refugees, who moved with the army through Iran and Iraq, and even reached Palestine, en route to the theatres of war alongside the Allies in Europe. 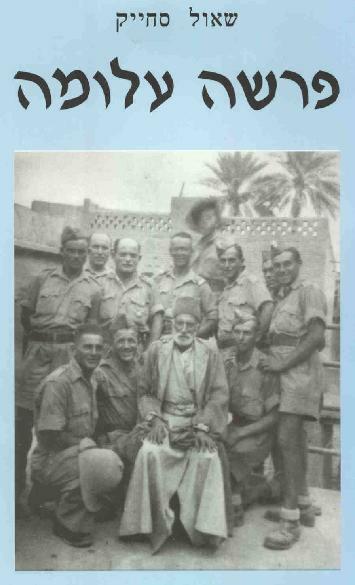 Accompanying Anders' Army were thousands of relatives of the troops and other Polish civilians, including hundreds of Jewish refugees, adults and children, who were transferred to Tehran, after which arrangements were made for their passage to Palestine. 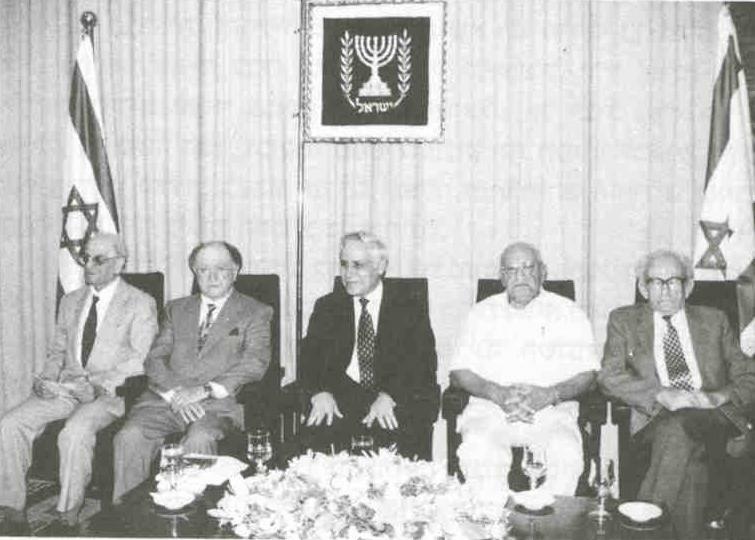 As a function of the fortunes of war at that time, this development also signified the start of intervention by the institutions of the Zionist movement and the Jewish settlement in Palestine in laying the foundations of halutzic (Zionist pioneering) movements among the Jews of Iran and Iraq. 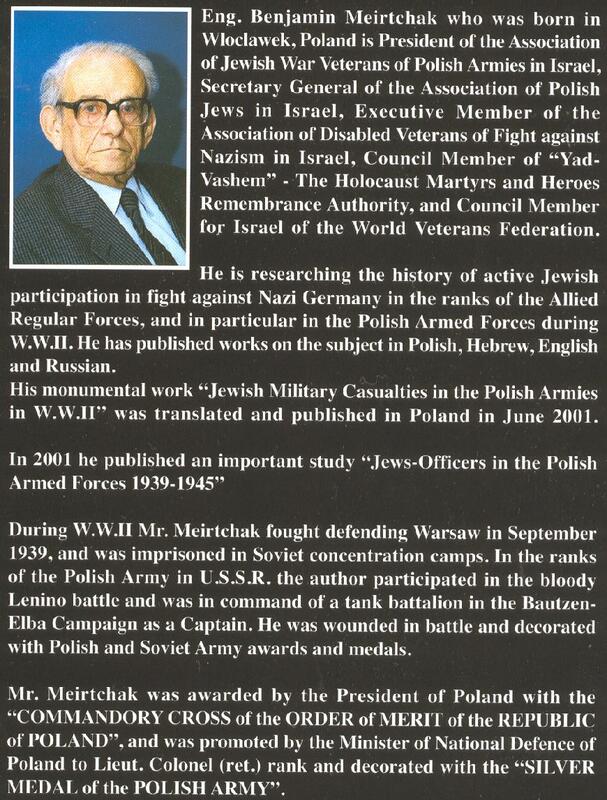 The aim was by their means to seek possibilities and ways to create a connection with the dying Jewry of Poland, with the Polish Jewish refugees, and with the Jewry of the Soviet Union. Thus the ground was prepared for halutzic movements in Iraq, Iran, Syria, Lebanon, and Turkey, which engaged in emigration to Palestine. 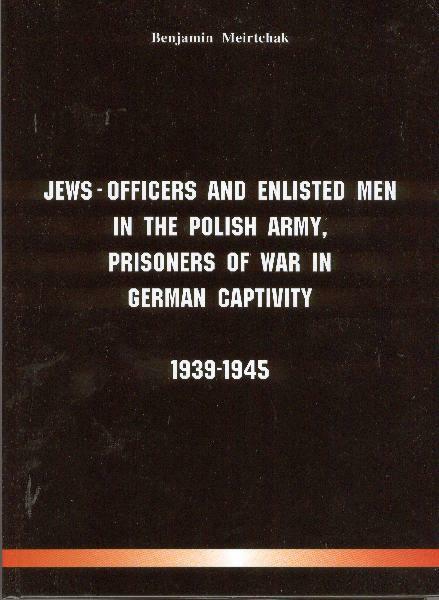 To grasp and evaluate correctly the force of the stirring encounter between the Polish Jews, soldiers as well as civilians, and the Jews of the East in the period under discussion, this book outlines the trials and the disasters that befell the Polish Jewish refugees saved from the Nazis' claws and fallen into Soviet hands. The account begins with the outbreak of the Second World War on 1 September 1939 and ends with the reversal in their destiny upon the German invasion of the USSR on 22 June 1941. Similarly, a survey is presented of the history of the Jews in Iran and Iraq in that period, which set the stage for wholehearted approximation between the two sides. The assistance given by the Jewish settlement in Palestine to the Polish Jewish refugees is briefly reviewed. This book has its origins in the publication of the book by David Azrieli, entitled 'One Step Ahead', in which he unfolds the episode, and his desertion, together with his comrade-in-arms Adam Gillon (Vogeil), from Anders' Polish Army on their arrival in Iraq. The two men were hidden in a synagogue in Baghdad by members of the Hehalutz Underground Movement in Iraq, and were smuggled to Palestine afterwards by Moshe Dayan, who happened to be in Baghdad at that time. This was one smuggling attempt of many to Palestine by various ways. 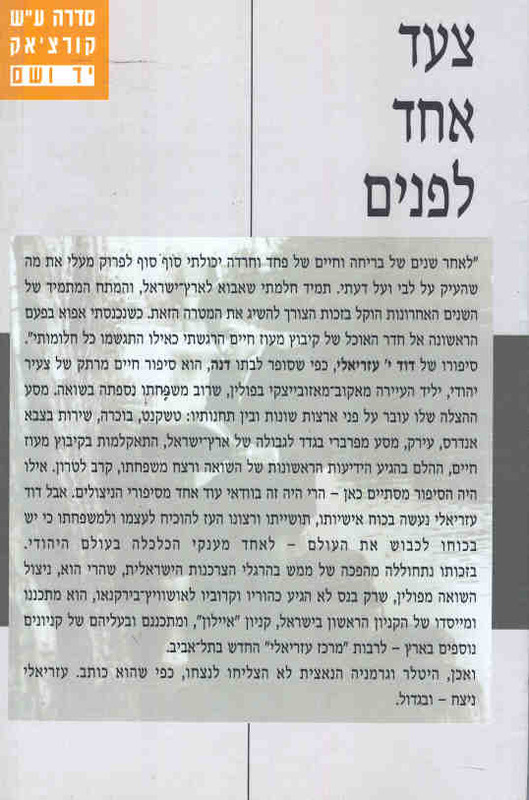 From an investigation that I conducted it became clear that my brother, Shlomo Sehayik, was he who conveyed the two from their hideout to the camp where Moshe Dayan was located, without either side knowing the other's identity. 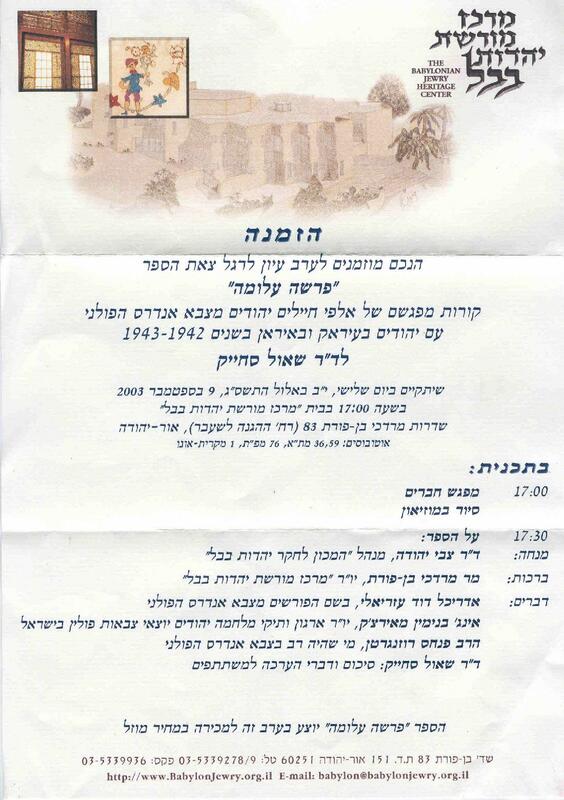 In light of this finding Leah Feig arranged a meeting between my brother and Azrieli. 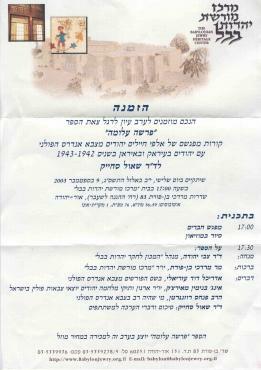 Shlomo identified David Azrieli at once at the meeting that took place between them after 58 years, at the Azrieli Centon 17 May . The two men shared emotion-laden recollections of that journey from the hideout to the camp, a journey that took place in complete silence according to the rules of secrecy then operating in the underground: you didn't ask questions; you only executed the mission. This event served me as a sign and a stimulus to research the subject in depth. 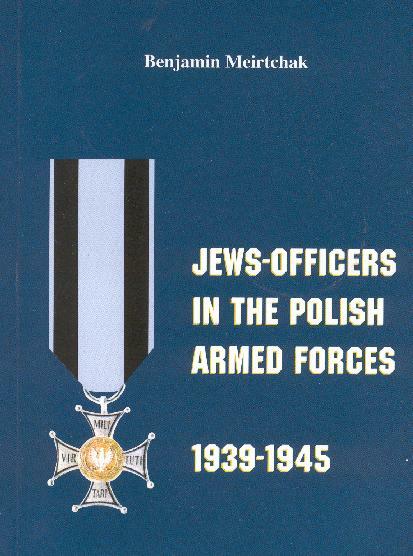 Moreover, I myself had entered Palestine illegally on 10 May 1942, disguised as a Polish solder in a convoy transporting a Polish army unit from Iraq to Palestine; at the time I had no notion of the existence of Anders' Polish Army (see the certin the appendices). "But if a man live many years," says Ecclesiastes (11,8), "and rejoice in them all; yet let him remember the days of darkness; for they shall be many." I have lived many years, and rejoiced in them all, but I also remember the many days of darkness that descended upon the Jewish people in Europe in September of 1939, the anguish of loss and bereavement. "The dead of mine" (Ha'meitai sheli), as the Hebrew poet Rachel called them - my memories of them - have become a precious legacy. I shield it as if it were a candle, flickering in a dark and drafty room. "Why have I been spared, while my twin brother and almost my entire family perished?" I often asked myself. The only answer to this question that torments every survivor of the Holocaust, is that some of us lived due to divine providence. But there was also the human element. I was truly blessed, on many occasions in my life, to encounter men and women without whose help and guidance I would not have survived. 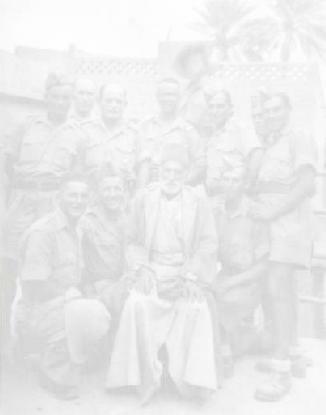 One such occasion was in September of 1942, when my friend David Azrieli and I found ourselves fleeing from the anti-Semitic Polish army of General Anders in Iraq, with Eretz Yisrael as our final destination. The Jews of Khanaqin and Baghdad opened their hearts and stretched out their helping arms to these two young refugees from Western and Catholic Poland, so distant and alien to the Babylonian Jewry. 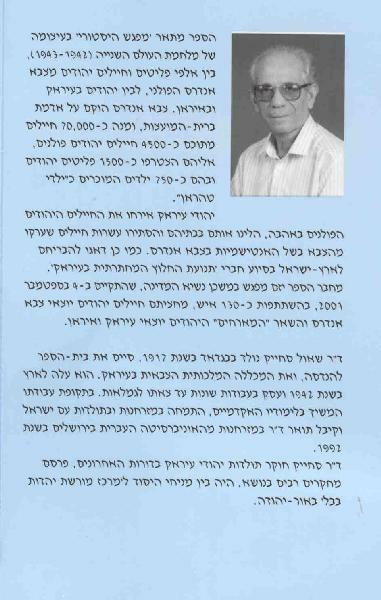 It was in Baghdad that we found several guardian angels like Dr. Rosenfeld and the wonderful, brave family of Shlomo and Shaul Sehayik. There were others in synagogues in Khanaqin and Baghdad, women and men, whose names I did not learn or do not recall, who demonstrated with their actions their belief that Kol Ylsrael arevim ze base. There were also three eminent men from the Yishuv, without whose courage and help, David and I would not have been able to come to the Holy Land and serve in Israel's Defense Army during the War of Independence. They were Moshe Dayan, Enzo Sereni and the son of the legendary hashomer from Petah Tiqva, Abraham Shapira, whose first name I forgot. As this gathering shows, David and I were not the only two Jews saved by the Babylonian Jews. I am sure that the Jewish refugees from Poland present in this room, share my feelings of profound gratitude to the Jews of Baghdad, Khanaqin and other Babylonian communities, now proud citizens of the State of Israel. They are indeed our brothers and sisters. No matter where we now live, we are one people, Am Yisrael! Order the book from the Babylonian Jewry Heritage Center in Israel. The cost in Israel: 40 nis (post cost included).